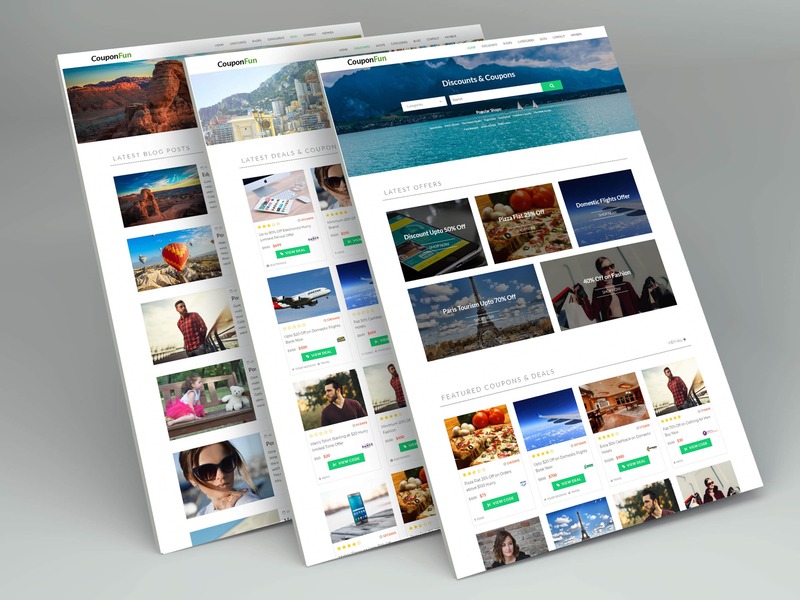 Couponfun is a fully Responsive SEO optimized beautifully coupon and discount WordPress theme, compatible with most popular browser Couponfun perfectly fit for any affiliate marketing business. This WordPress theme coded with Bootstrap framework. w3.org fully validated HTML, CSS. How Can I Help You? Our Expert Support Team Are Ready To Answer Your Questions. Modern Design Help Enhances Good User Experience & Business. 1 Click Import Demo Content, Extensive Theme Options You Can Easily Manage Everything. Our Themes Are Easy To Setup & Maintain, Full Customizable Options Available. Get Lots Of Search Engine Traffic On Your Website With Our Seo Optimized Wordpress Premium Themes. Lots Of Custom Widgets You Can Manage And Set Up Very Easily. Multiple Color Options. Customize Site Header, Footer, Body, Menus, Text & Many More. Easily Manage Our Wordpress Themes, See Theme Documentation & Get Answers Your Common Questions. All Themes Are Compatible With The Major Web Browsers. We Test On Google Chrome, Firefox, Opera, Safari & IE.